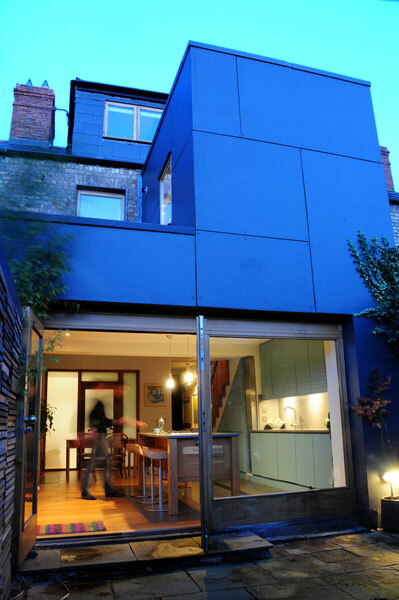 This 2 up, 2 down terraced house in Dublin 8 was opened up at the back of the house to a larger open plan kitchen/living/dining space. 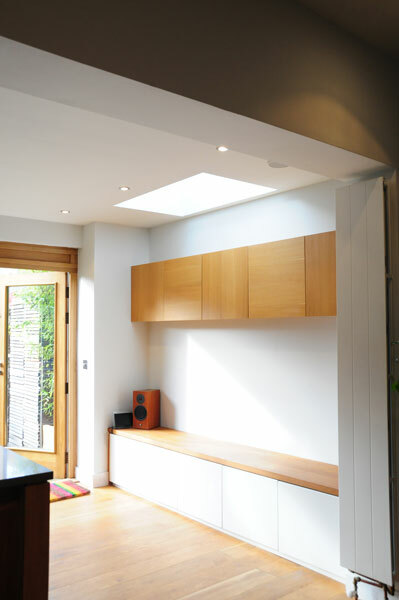 Careful consideration was made to ensure the kitchen was alcoved and integrated into the underside of the new stairs, so to create ease of views and circulation into the garden space and bring natural light from large windows under island and into the centre of the house. 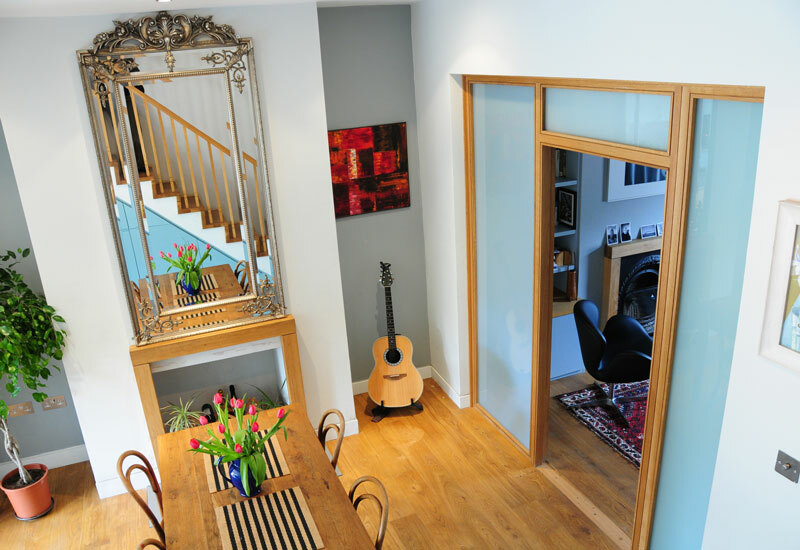 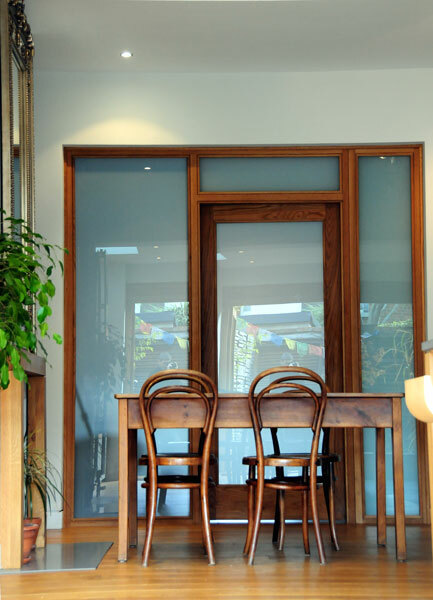 Opal glass screen between front sitting room and dining room allowed natural light to emit into both spaces. 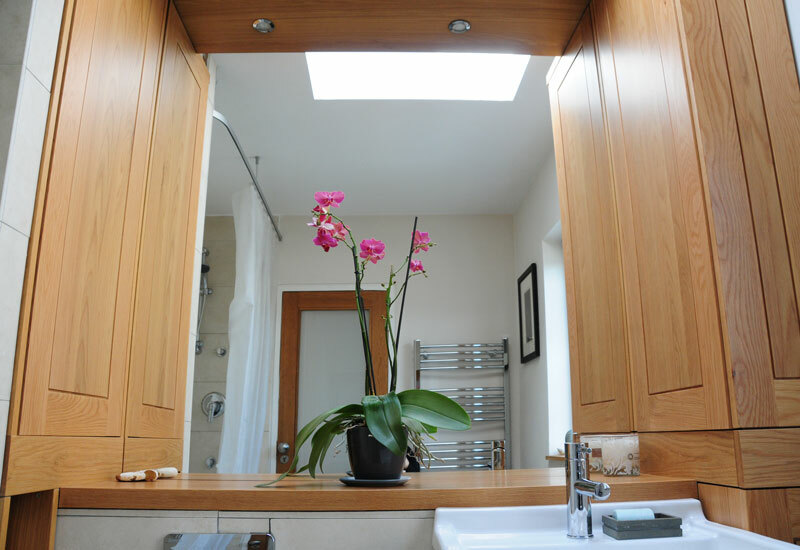 This project had a full integration of all elements of cabinetry and joinery and provided a consistency of joinery detailing and materials throughout the house. 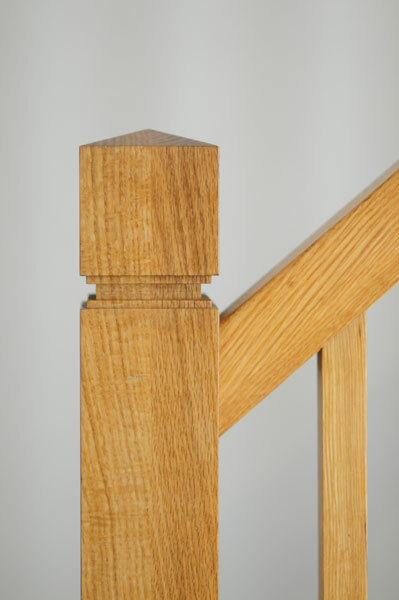 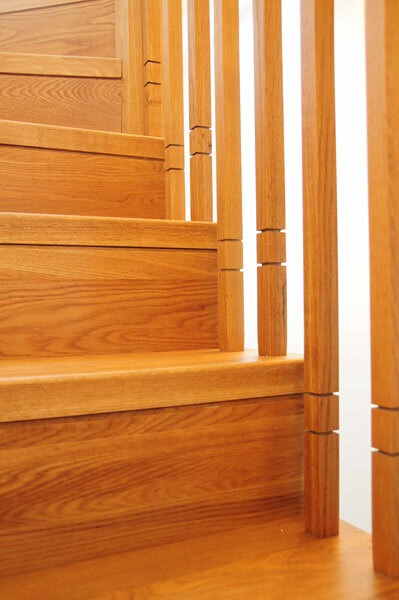 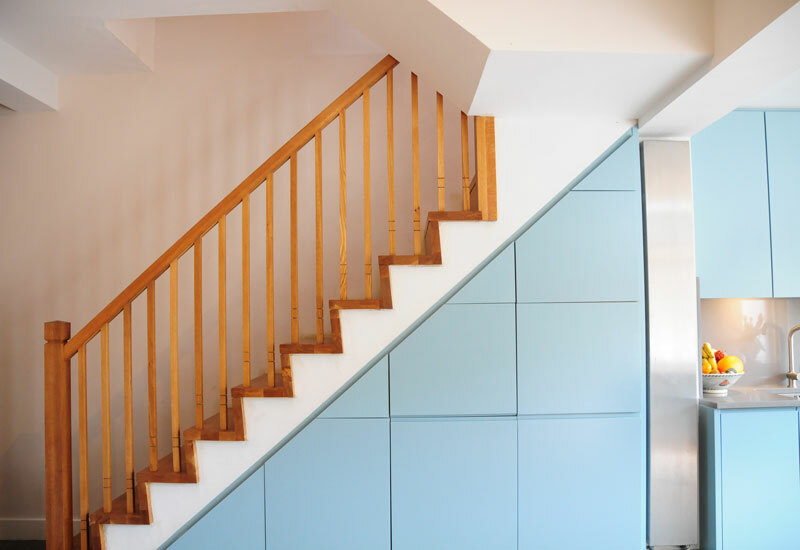 The new wabi sabi stairs provide a spine to connect the 3 levels with new dormer conversion. 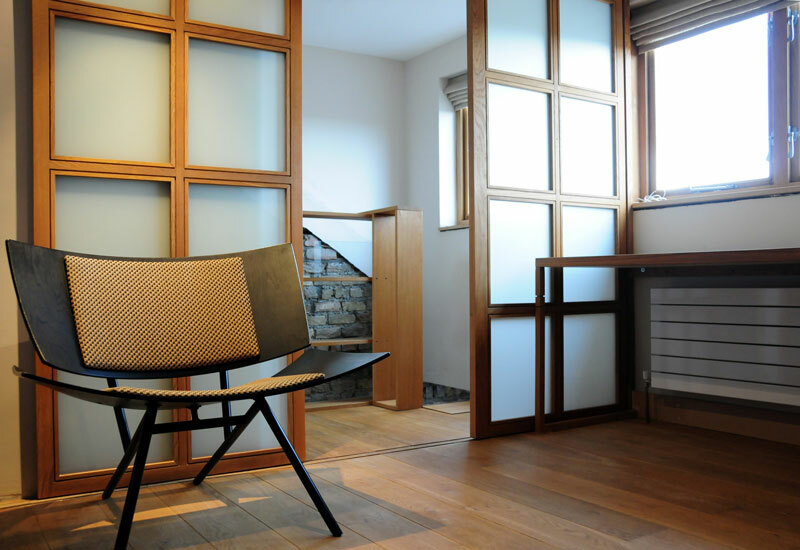 Sliding screens in the dormer room are made to model a Japanese “shoji” screen design to reflect the owner’s design preference. 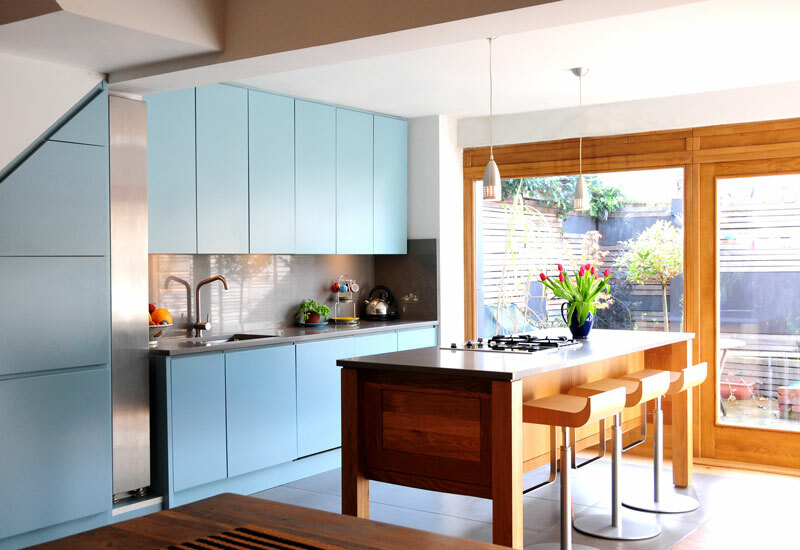 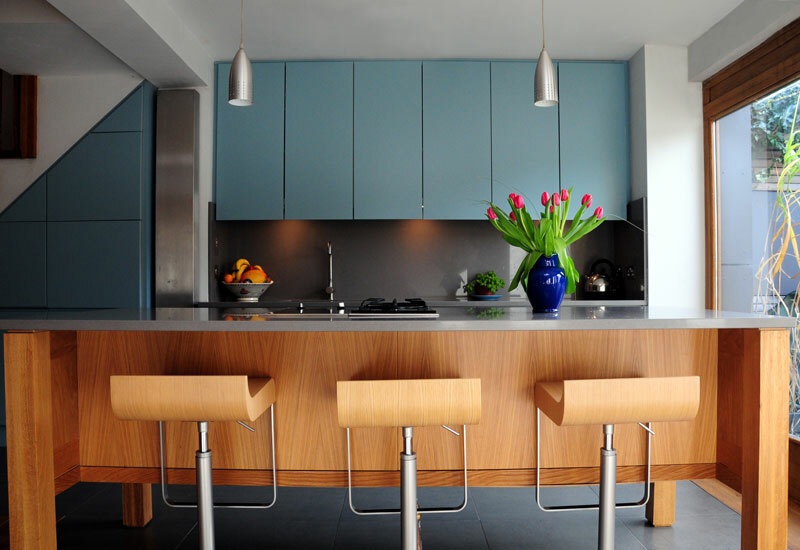 Materials throughout the house: Oiled natural oak, Quartz stone worktops and earthen brown grey tiles to create a neutral palette and allow use of a bold blue spray painted finish to the kitchen and under stairs units.